Highly sought after Colonial on corner lot in Montego Bay Subdivision. 3 Bed 1.1 Bath Over 1,840 sq ft with open concept kitchen and family room. Beautiful hard wood floors in kitchen. Enjoy the living room with dining area for entertaining. Updates in 2013 include windows, insulated garage door, insulation with solar attic fan, exterior paint, and all the carpet in the home. Extras in the home include a reverse osmosis system, extra large garage, and fenced in back yard. BRAND NEW FURNACE (2017), NEW A/C (2017), NEW ROOF (FEB 2019). Don?t miss your chance to have this immaculate home with all new appliances, paint, and mechanics. Home has a 30 year TRANSFERABLE warranty for the roof that covers labor and material. 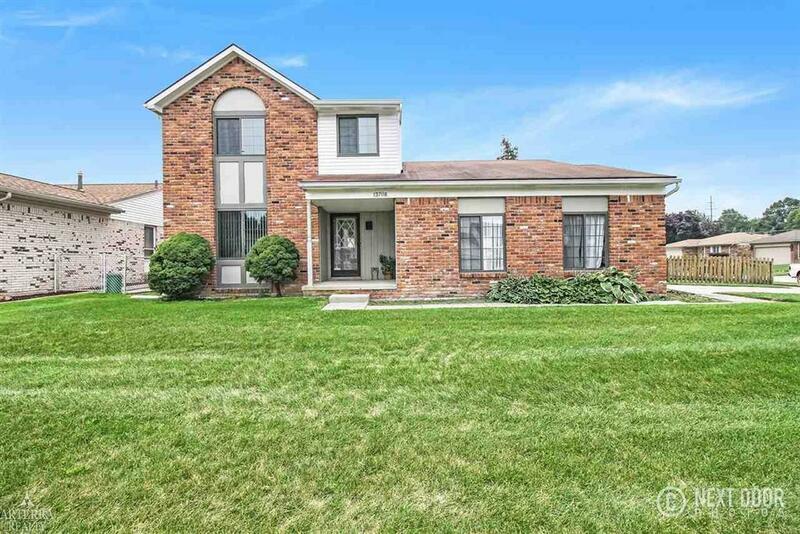 Unparsed Address 13708 BREEZY DR.
IDX provided courtesy of Realcomp II Ltd., via Arterra Realty Clinton Twp Llc and MiRealSource, ©2019 Realcomp II Ltd. Shareholders.